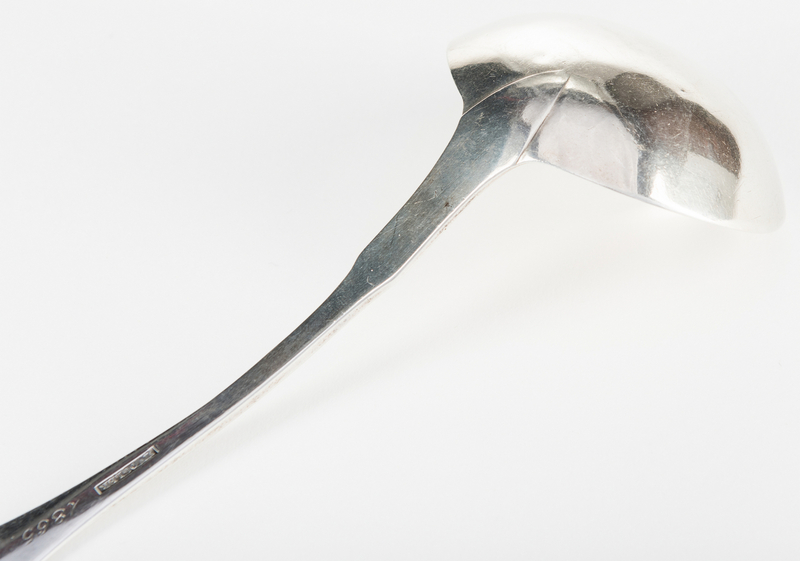 North Carolina coin silver ladle with oval downturned fiddle handle, marked N VOGLER in rectangle (attrib. 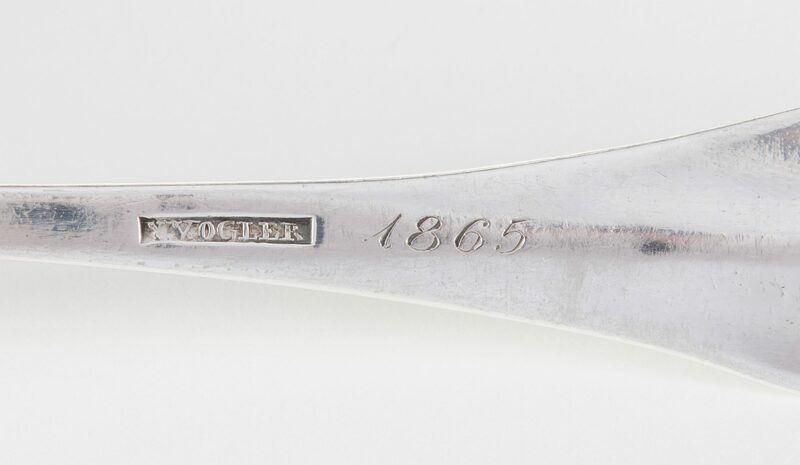 Nathaniel Vogler, Salem NC gunsmith and silversmith, 1804-1872). 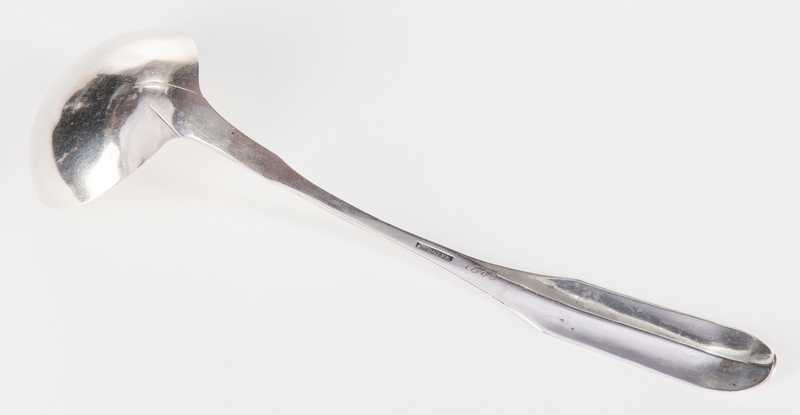 Script monogram "WM" to the handle with engraved date in script verso 1865. 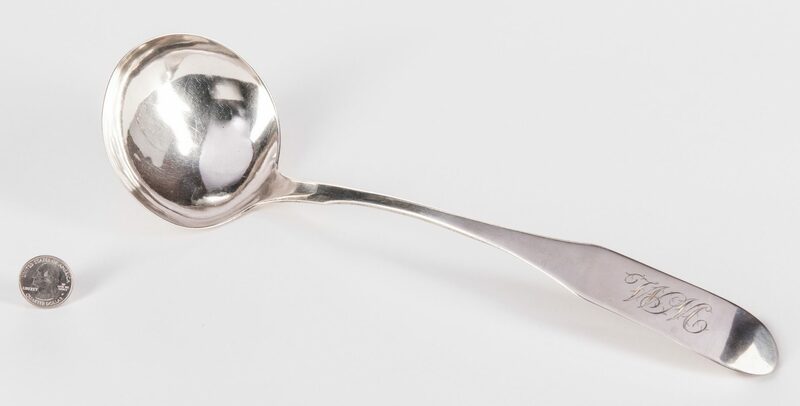 Note: The "1865" appears inconsistent with the style of the ladle, suggesting the date engraving is likely later. 12 1/2" L. 4.505 total troy ounces. 2nd quarter 19th century. Private Florida collection. CONDITION: Very minor pitting to bowl, light surface scratching throughout, more noticeable around monogram.